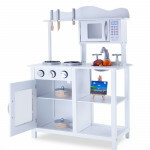 Your little ones will discover the joy of cooking and sharing with the Rovo Kids Wooden Toy Kitchen. 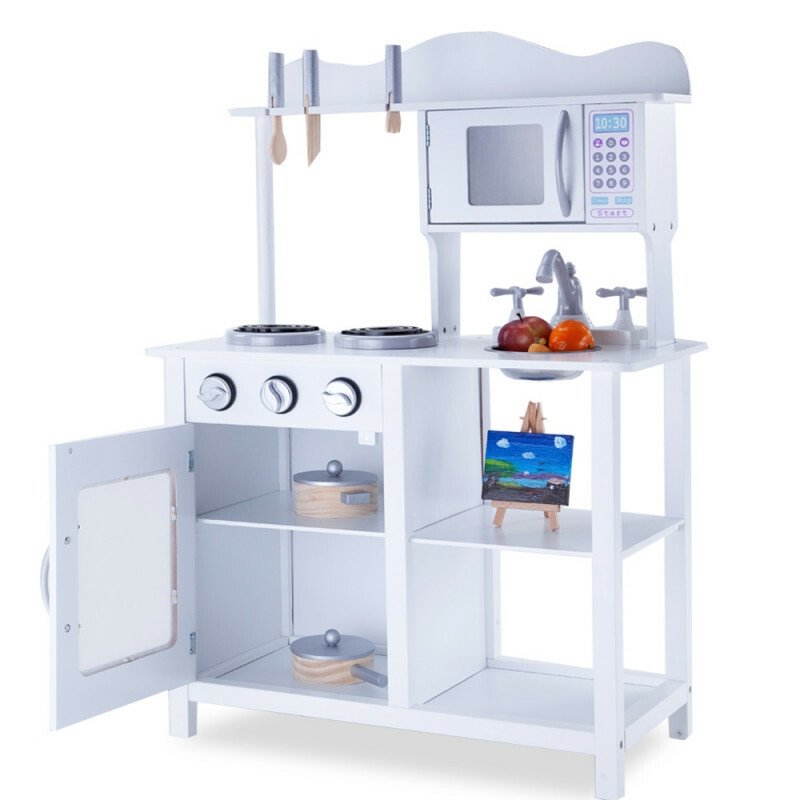 This playset has it all with an oven, cooktop, built-in microwave and sink! 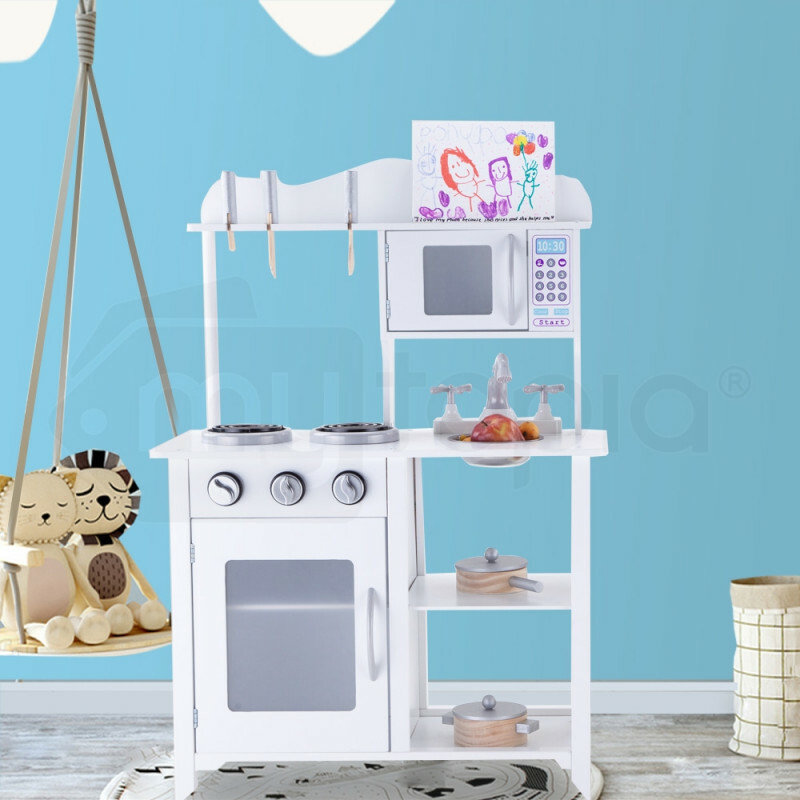 You’ll love seeing them transform into imaginative little master chefs as they serve up delicious feasts, and hone their motor skills at the same time! 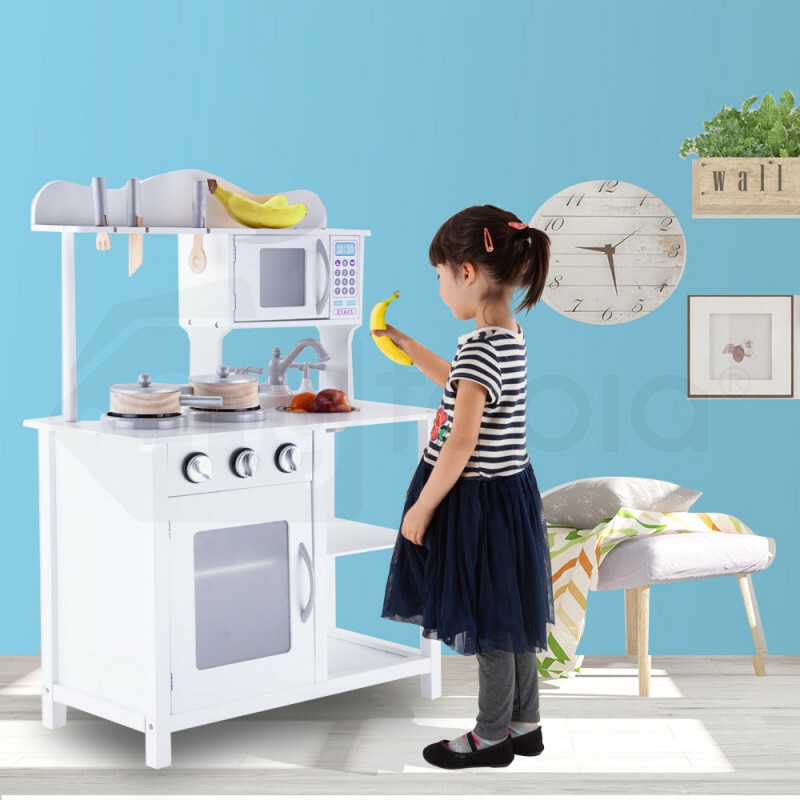 The Rovo Kids Kitchen has a stylish vintage white colour scheme that is sure to look the part in any home. 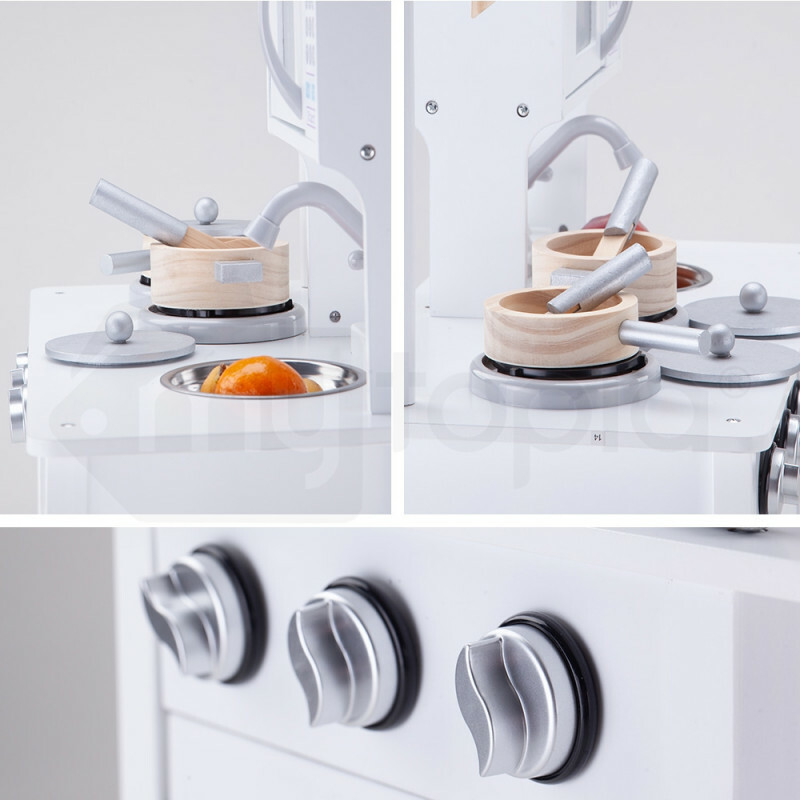 With attention to detail that includes 10 pcs of cooking accessories, opening doors and turnable oven knobs, there will be no limiting of their creativity! 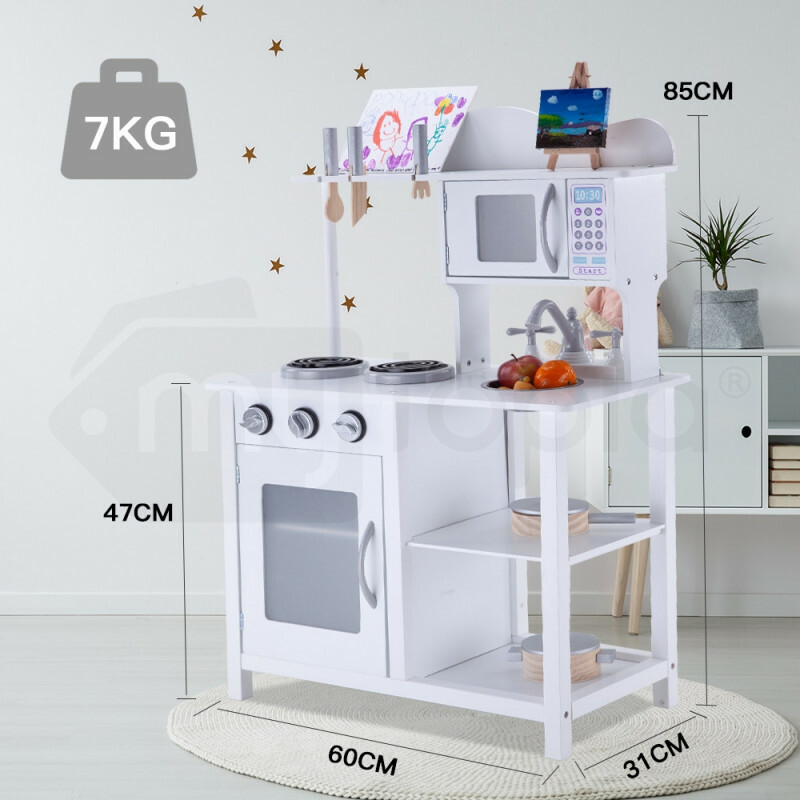 You can rest assured that when you buy a Rovo Kids kids product you are getting the very best quality. 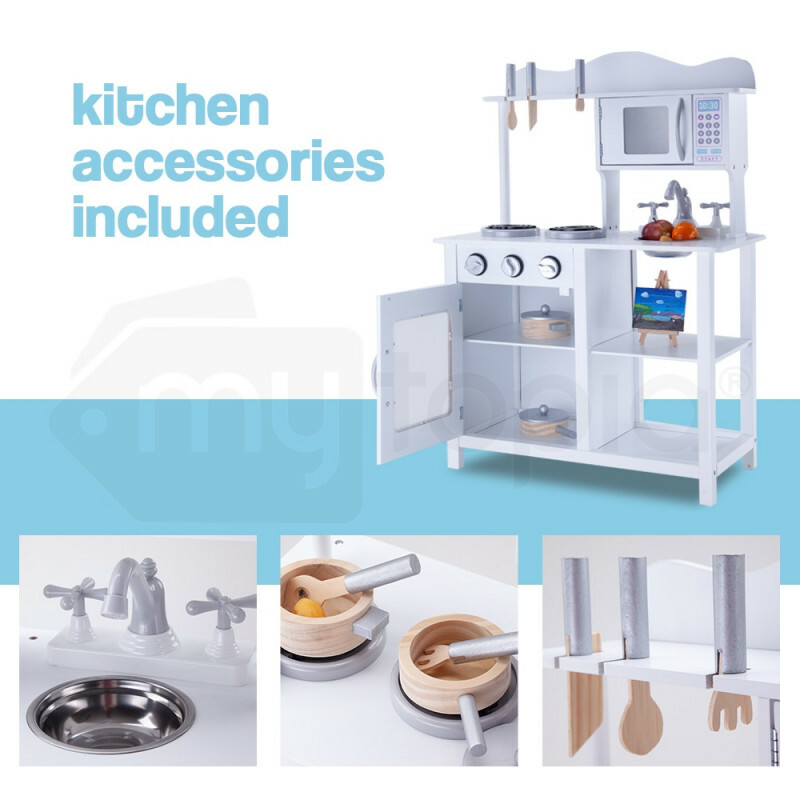 This set is made from solid high-quality wood, and of course, is coated in paint that is certified to be 100% safe for little ones. 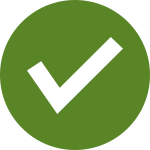 Download the manual for KIDKCHROVASTG for detailed instructions on using your product.